2 Person Version Of The Adventure Island - Double The Fun! For people searching for the ultimate 2-person kayak then the Tandem AI from Hobie represents the pinnacle of double kayaking experiences. 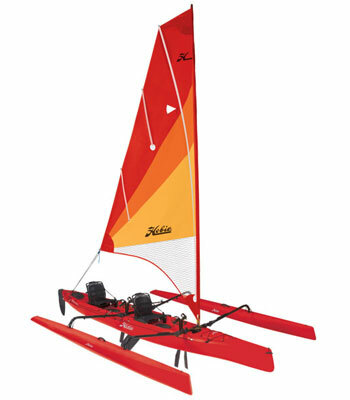 Providing excellent on water performance with the versatility for several differing kayak disciplines in one top of the range package. 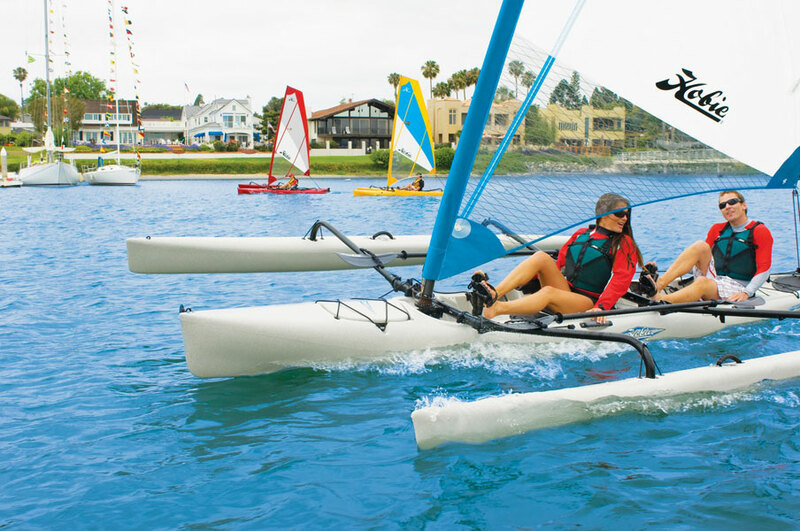 The Tandem Island is a sleek, stable , two-person kayak that glides over the water with ease. 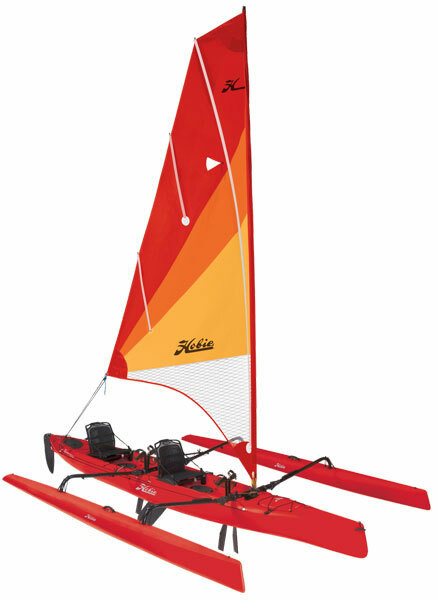 However, attaching the aka crossbeams, the ama floats and the two-piece carbon fiber rig (lightweight and stiff) sailing kit, then you and your partner can be sailing over the water, powered by the boomless mainsail. 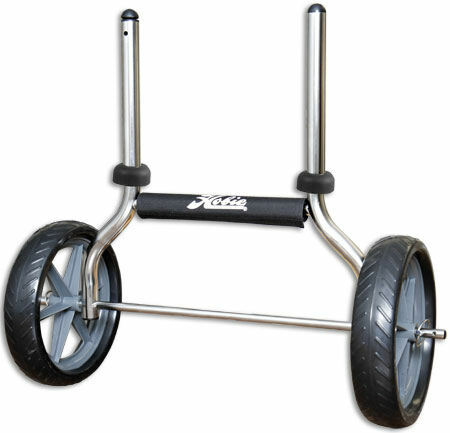 Both cockpits have steering and sail-control lines, making the Tandem Island ideal for partners of all abilities. Include the boat's generous storage space and large carrying capacity means that the potential for longer days on the water or multi-day trips become a distinct possibility. 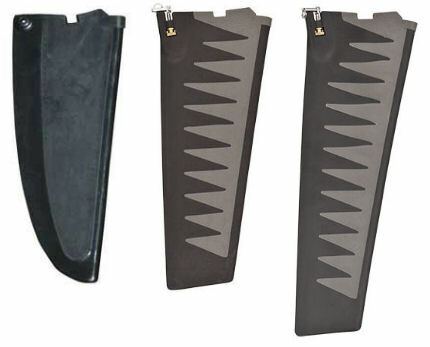 The Tandem Islands ama's, aka's (outrigger system) are simply removed, converting the Tandem Island's rotomoulded hull into a very efficient, touring kayak that can be paddled traditionally or pedaled using the extremely efficient MirageDrive system. 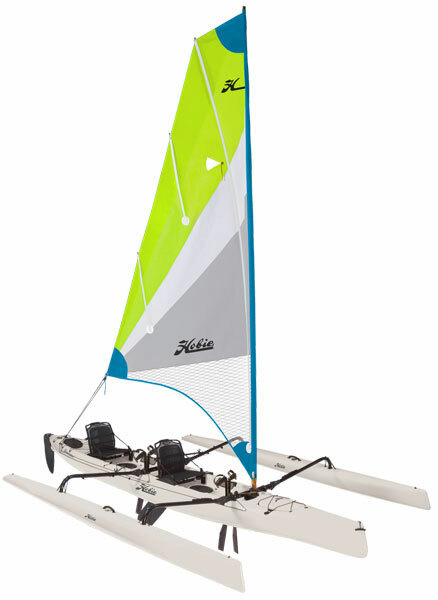 Utilising a combination of the Hobie's sail, paddle and pedal options equals a kayaking experience like no-other. 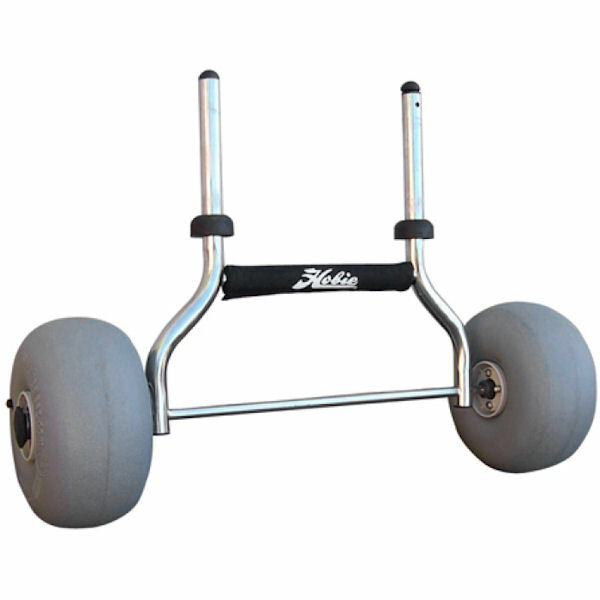 Height (Akas Off): 0.39 m/ 15.5"
Please contact us on 01925 818437 to discuss delivery options.